Almost exactly a year ago I decided to sign up for an Ultra White Collar Boxing fight. Now, I know this sounds ridiculous but I did not actually consider the fact that I was going to get punched in the face multiple times, suffer numerous injuries and have to get up at 5 am every Tuesday and Thursday to train for 8 weeks. I also did not fully contemplate the fact that on November 1st, 2017 I was going to get in a ring in front of 1000 people and fight. But that I did… and it was the greatest night of my life! Training was incredibly intense, I gave up drinking for the month before my fight and I became obsessed with the amount of protein I was consuming. I put in tons of extra sessions at Miguel’s (an old school, brilliant boxing gym in Loughborough Junction - where Dillian Whyte trains) and I could barely sleep with the anticipation of it all. The scariest part of the whole thing was actually not the fight itself but the sparring sessions in training. This is the downside of UWCB. For our sparring sessions we were paired up and basically told to fight. It was full body sparring so head blows were acceptable and there were multiple nose bleeds, one person even lost their sight for a bit. At times, it felt unsafe and very out of control. Boxing is not something to be taken lightly, you can seriously injure yourself if sparring is not administered properly and many professional fighters think UWCB is dangerous. Throwing complete amateurs into a ring with only 8 weeks training does not sound like the safest idea. I totally agree with all of this, and I did occasionally think “what the hell am I doing?” But the overall experience was incredible. I was the strongest and fittest I have ever been in my life. I found a sport that I genuinely enjoyed, something I was good at and that made me feel physically and mentally well. It is also an amazing sport to watch. Professional fighters make it look so easy but I now really appreciate the incredible skill and fitness of those at the top. I was nearly sick after three 2-minute rounds, I cannot even begin to imagine fighting for twelve 3-minute rounds! But there is something fundamentally wrong with the televised sport. For anyone who knows me or has read my previous articles, you will know that I have a huge problem with the normalisation of gambling, its inescapability, the language used in advertising by betting companies, their unashamed exploitation of gambling addicts. Unfortunately, boxing (and sport in general) goes hand in hand with betting. Gambling is so normalised and commodified that many people do not even think twice about the fact that it is incredibly addictive, so often life destroying and should be treated in the same way that drug or alcohol addiction is. 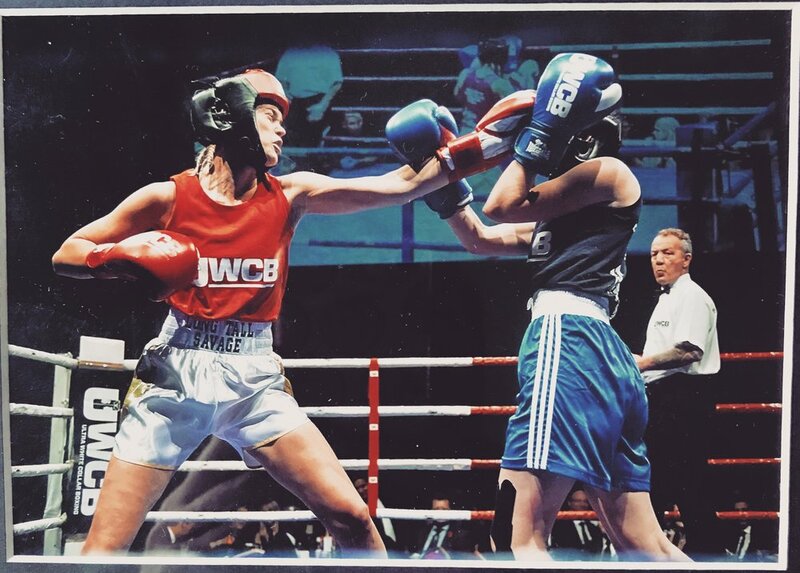 So this article is, in part, an ode to boxing, an appreciation of its art and physicality, explaining how mentally and physically strong it makes me feel. It is also a call to action, illuminating the fact that the government, and society in general, need to wake up to the fact that gambling is addictive. Watching a boxing match with that amount of betting advertising can easily destroy a person’s life.